The Immigrant Business Café is a community of immigrant entrepreneurs at all levels of experience and expertise – whether they are at the exploratory stage of starting their first venture in Canada or are already well-established and looking to expand further. Newcomers to Canada looking for business connections, know-how and inspiration to venture out on their own. . Established immigrant or Canadian-born business owners willing to connect, support and collaborate with newcomer entrepreneurs. The Immigrant Business Café meet-ups are held every 2nd Thursday of each month in Toronto. In addition to business topics, special time and space is set aside to deal with social and settlement topics relevant to newcomer entrepreneurs. Remember to bring your business cards but more importantly come with positive energy, enthusiasm and openness to venture out and succeed! 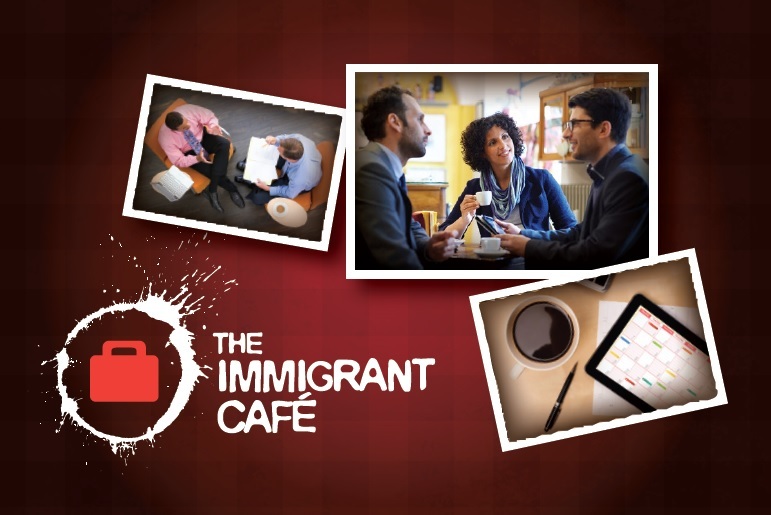 The Immigrant Business Café is a New Horizons Media initiative. To get updates on immigrant entrepreneurship news and events, please subscribe to the Immigrant Business Newsletter.